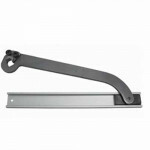 Global Door Controls TC7730 Stout Medium Duty Hold Open 105° Overhead Concealed Door Closer. Door cl.. 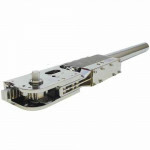 Global Door Controls TC7731 Stout Medium Duty Non-Hold Open 105° Overhead Concealed Door Closer.&nbs.. 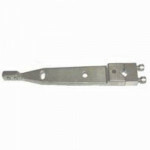 Global Door Controls S2 Track/Arm Stout Offset Arm with Track.Offset Arm, Non-handed, Track Length: ..
KTA Global Door Controls Top Arm Assembly for TC7700 Series TC7700 Series Door Closers and Par..